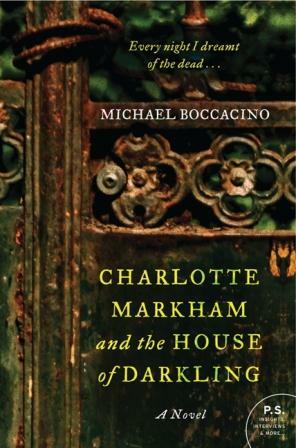 I would like to say that Charlotte Markham and the House of Darkling is the newest triumphant entry into the Gothic fiction genre that harkens back to the great works of Byron, Shelley, even Poe. Unfortunately, it falls just short of that mark. It’s not that author Michael Boccacino doesn’t have a wonderfully macabre imagination when he conjures up the dark and disturbing House of Darkling and its otherworldly environs. And his arching theme of the desperate desire to reunite with lost loved ones is touching and often poignant. But a lack of credibility in the more mundane aspects of this world keeps the reader from being completely taken in by the story. Set in the Victorian era near the village of Blackfield, the country mansion of Everton is rocked by a murder most foul. The nanny to Master Darrow’s two sons is found torn to pieces and a mysterious man in black, smelling of sulfur (“like the very Depths of Hell”) is seen fleeing the scene. Charlotte Markham, governess at Everton for the past nine months, steps into the role of guardian and confidante to the boys who are still grieving the loss of their mother to a lingering disease shortly before her arrival. Being newly widowed herself, Charlotte is sensitive to the grief that still permeates the mansion – but she has a shadowy secret: the mysterious dark man is known to her through her own experiences of loss as well as from her dreams. She also is confused by her feelings for the handsome yet brooding master of the house, Henry Darrow; is he merely a kindred spirit, or could there be other emotions at play in their nocturnal meetings? A map conjured from a dream leads Charlotte and the boys to cross over to The Ending, a dark and sinister place where death holds no sway. 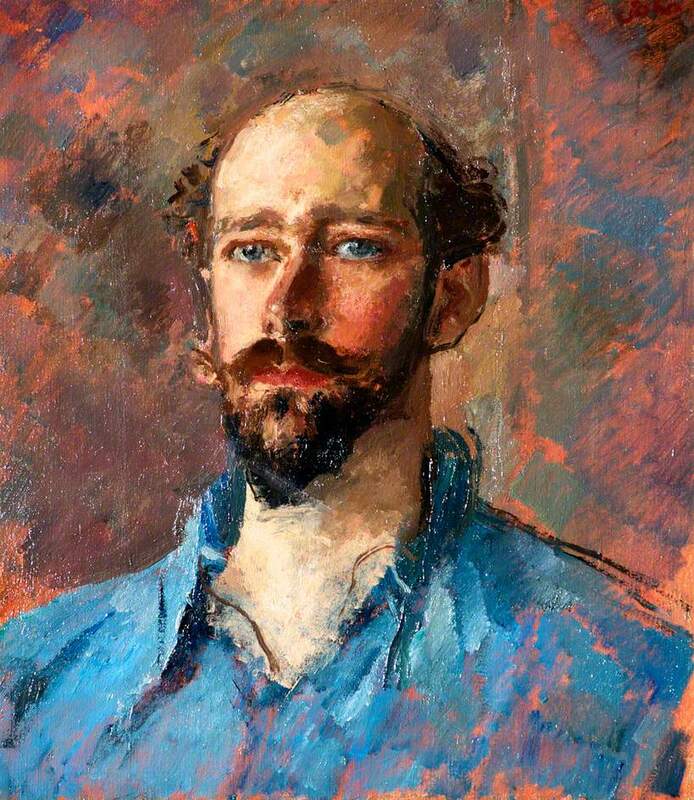 There, to the boys’ delight and Charlotte’s distrust, they encounter the recently departed Lily Darrow, who now resides at the mysterious yet elegant House of Darkling, the master of which is the fiendish and sardonic Mr. Whatley. As the boys and Charlotte fall deeper into the thrall of the House of Darkling despite the horrendous beings they encounter, the alarming schemes they uncover, and the devastating threats that arise, Charlotte begins to understand that it is not the Darrows who are the focus of the horrors of the House, but she herself who is at the center of a conflict that threatens to reach beyond The Ending and grasp even the world of the living. One would think that such an imaginative and nuanced plot would ensure a satisfying literary experience, but unfortunately Mr. Boccacino’s writer’s voice is not quite up to the task. Many of his characters, even key ones, are flat or even cartoonish in their lack of depth. They respond in ways that are either so expected that you need only skim through pages, or else they react with completely unreasonable behaviors. Case in point: the Darrow brothers seem to have no problem keeping absolute secrecy and speaking to no one – not even their father – after returning from reuniting with their dead mother, roaming a house full of amazing wonderments, and meeting other creatures hideous in appearance and motive. The children’s’ behavior on their return is the same as it was before they encountered The Ending – no conspiracy to act normal, no hint of any emotional trauma or strain, just “business as usual,” even for the five year old James. This either evidences a lack of understanding of human nature, or a missed opportunity to inject some depth into the story – or both. Then also, where familiarity could work for him, again Mr. Boccacino falls short. The Victorian era is one of formality, propriety, and a strict maintenance of class boundaries. It is within these restrictions that lush environments can be constructed, and such delicious tensions can be established. But Mr. Boccacino either rushes us into these conventions without establishing any foundation (Charlotte is already hinting at a romantic possibility with Mr. Darrow by page 14), or by showing an insensitivity towards them. For example, Charlotte’s position and background would afford her a rather substantial level of respect, yet not only the other servants but the master of the house and even the children call her by her first name, not “Mrs. Markham.” No matter how familiar she was with the Darrow family, propriety would have demanded that they address her in a more formal manner. These kinds of cracks in credibility can really distract from a work that draws on a particular history, and grate at our expectations once that historical stratum is set. Even the tone of the novel is uneven. Atmospheres are established, then dashed by a sudden jump in sensibilities, such as when the mystique of Darkling is jolted from supernatural to technological when Lady Darrow summons tea by touching panels on a wall to reveal a steaming teapot, finger sandwiches and chocolate cake (no mention on how the boys react to this marvel, but Charlotte certainly seems to take it in stride). As this is a somewhat singular development, Mr. Boccacino is obviously not going for a steampunk aspect in his novel. But why then no servants? There are other creatures of servitude at the House of Darkling and while Lily Darrow’s role at the mansion is not immediately clear, she does have some sort of standing there, certainly enough to warrant tea service. Instead, our immersion in the scene is interrupted. And Michael Boccacino’s novel does evoke some pretty powerful emotions – not just horror, but the keen yearning for that which has been lost, and the questioning on just how far you would go to keep your loved ones close to you. Furthermore, Mr. Boccacino did keep me wondering to the end whether or not Charlotte would prevail over Mr. Whatley, and just who was the man in black who was always lurking in the background. For that, I tip my hat to him. However, I hope that in his next endeavor he works a little harder to create a more complete reading experience rather than relying so heavily on the strength of the more macabre aspects of the plot lines alone.